Time for a little non-fiction, and in the light of all the muttering here about philia and mania, it seems somehow quite apt that I should read this, a book about an obsession with books! 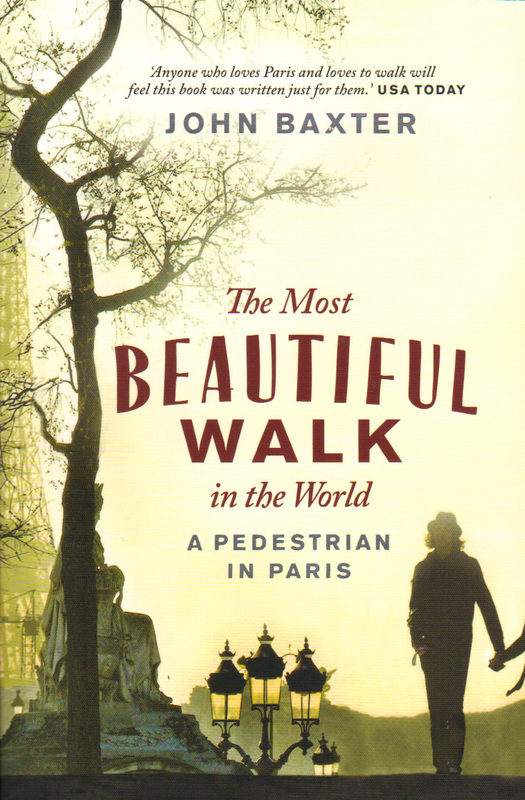 I read Baxter’s lovely book about Paris recently, and so stumbling across this volume (a Book People “Ted Smart” hardback from 2002) in the Charity Shop recently was a piece of luck. The subtitle is “Confessions of a Book Addict”, which is quite appropriate, although the book is a little more wide-ranging that you might expect. John Baxter hails from Australia, and spent many of his formative years living in the back of beyond, with his only access to books a small local library – which he systematically read his way through. He traces the origins of his addiction to the purchase of a collection of Rupert Brooke poems, the first book of his own, and goes on to trace his life in books – from living and working in Sydney, where he discovers science fiction (a lot of it pulp!) 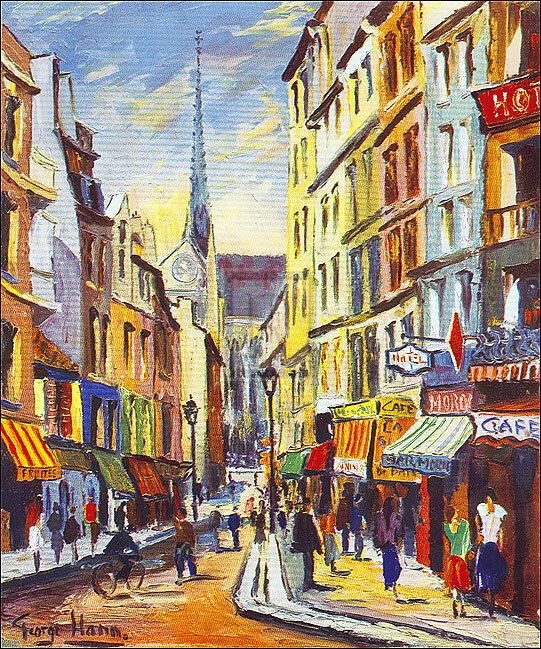 and hangs out with other collectors; via London, where he makes a living buying and selling books, as well as writing as a film critic, and meets such notable book runners as Martin Stone; then on to Los Angeles, where the book market is very different; and finally ending up in Paris, where buying and selling literature has a very different complexion. I know quite a few female collectors – most notably of Virago books – and we collect these to *read* them. Yes, we also collect them as objects, beautiful volumes in their own right. But I have turned down Viragos when I think I won’t read them. The books I personally collect are for the content within them, the stories they tell, the pictures they paint and the places they take me. This was thrown into sharp focus in the sections of the book dealing with signed copies. I have very few of these – in fact, off the top of my head I can think of a few: an ordinary paperback copy of Angela Carter’s “The Bloody Chamber”, signed by the author at a film showing and talk I attended many years ago; a volume of Patti Smith’s lyrics which a dear friend in New York asked her to inscribe for me; and “Umbrella” by Will Self, which Middle Child got signed at a talk she attended. That’s slightly off topic, I know – but reading Baxter’s book did make me call into question the type of collecting that goes on. I don’t necessarily agree with the divorcing of a book from its content – yes, a book can be an intrinsically lovely object, but at the end of the day it’s a container for words, a way of transporting stories further than you can take them just by passing them on orally. 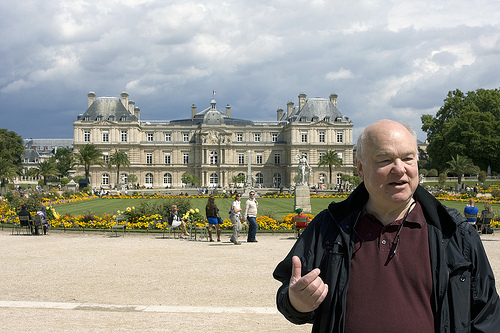 I enjoyed Baxter’s book immensely – he’s always an engaging narrator, and his insights into the book world resonate. Who, after all, if they are past a certain age, doesn’t recognise this description? 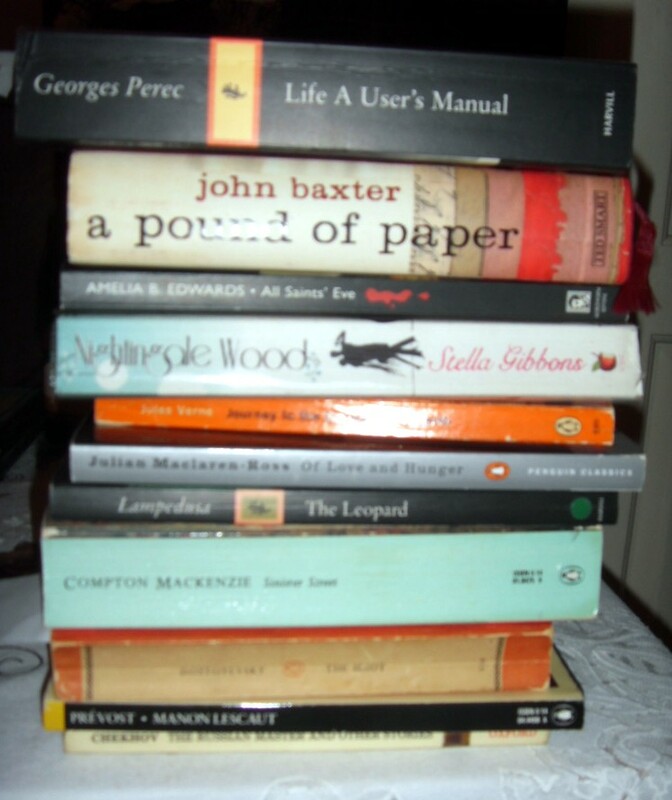 I can recall the first second-hand shop I visited, in my early teens, which was very like this – piled high with mouldering old hardbacks, and run by a slightly scary old man. I still have the ancient and battered Sherlock Holmes volumes I bought there, and have read and re-read ever since. But I think I will perhaps be more contemplative about my collection – and perhaps call it my library instead, because that word implies more that the books are there to be read for pleasure and not to accumulate any value. Nevertheless, I do recommend Baxter’s book – a fun and thought-provoking read! Synchronicity, Serendipity – and *why* can’t I stop buying books!! Despite all my wonderful resolutions to read from my stacks and not buy any more books for a while, things are not going to plan – well, they never do with me and books and reading, do they? I have had a couple of volumes arrive via ReadItSwapIt this week, but things complicated a little today when I popped into the Big Town. I hadn’t been round the charity shops much recently owing to Christmas, family illnesses and visiting offspring. 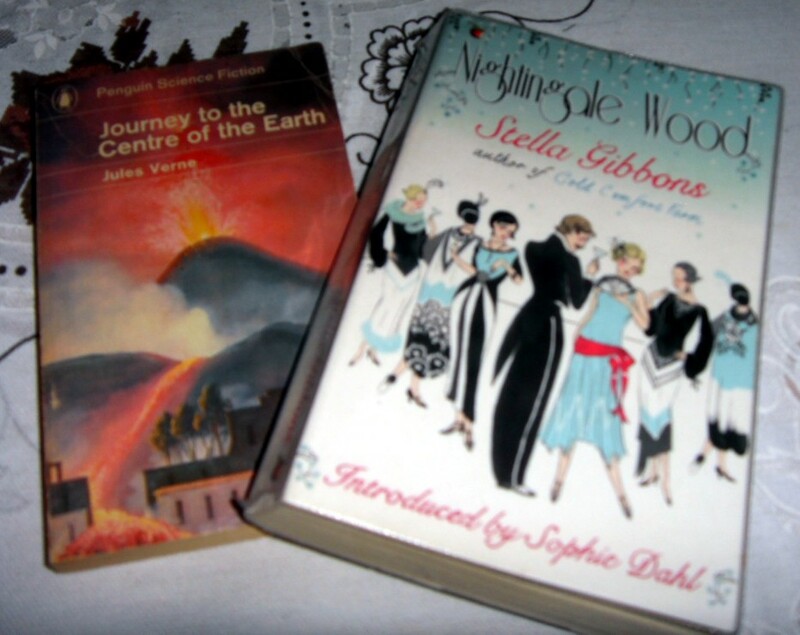 However, I was resolved not to do a big sweep, and even popped into the library to return some volumes – and happened to catch sight of a copy of Stella Gibbons’ “Nightingale Wood” for sale – a Virago volume I don’t have and for 40p found impossible to resist…. Nestling next to it in this unpleasantly fuzzy picture (I really must get my camera sorted out!) is a very nice old Penguin of Jules Verne’s “Journey to the Centre of the Earth” – I’ve seen the film many times but never read the book and since I love classic sci-fi so much, I thought it was a must. The Verne came from the Oxfam book shop, which has unfortunately had a bit of a re-stock in its Modern Classics and Classics section – so I had to exert quite a lot of will-power not to come out with a bag full of books. 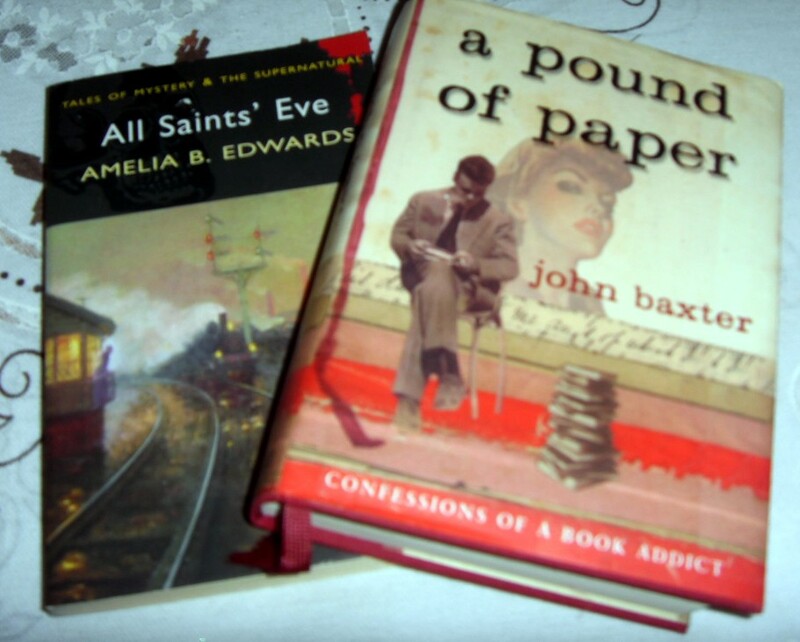 However, I *did* make an exception for “A Pound of Paper” – written by John Baxter, whose “The Most Beautiful Walk in the World” I just read and reviewed, and subtitled “Confessions of a Book Addict”. Maybe it will have some advice to help me deal with *my* addiction? 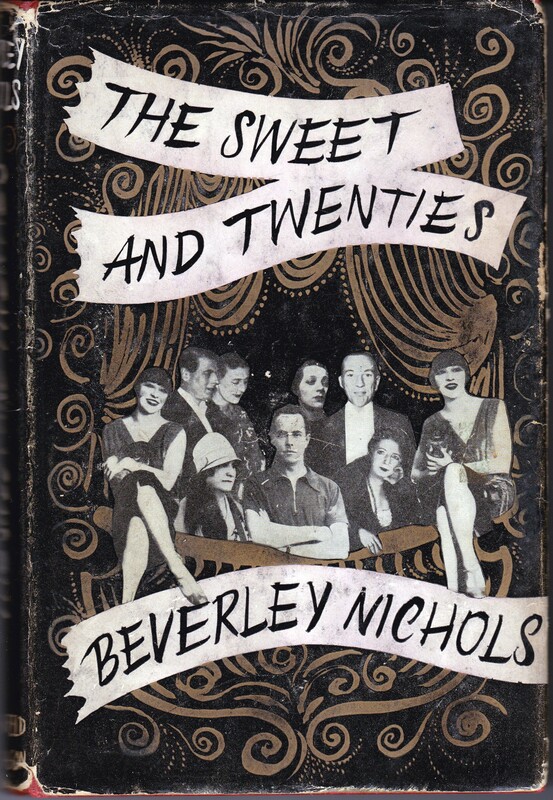 Today’s last acquisition “All Saints Eve” is a collection of stories billed as the precursor to Agatha Christie – and I confess to never having heard of or read Amelia B. Edwards, but for £1.75 I’m prepared to take a punt. This last book came from the lovely Samaritans book cave, where I dropped in for a browse and chat with the friendly staff. 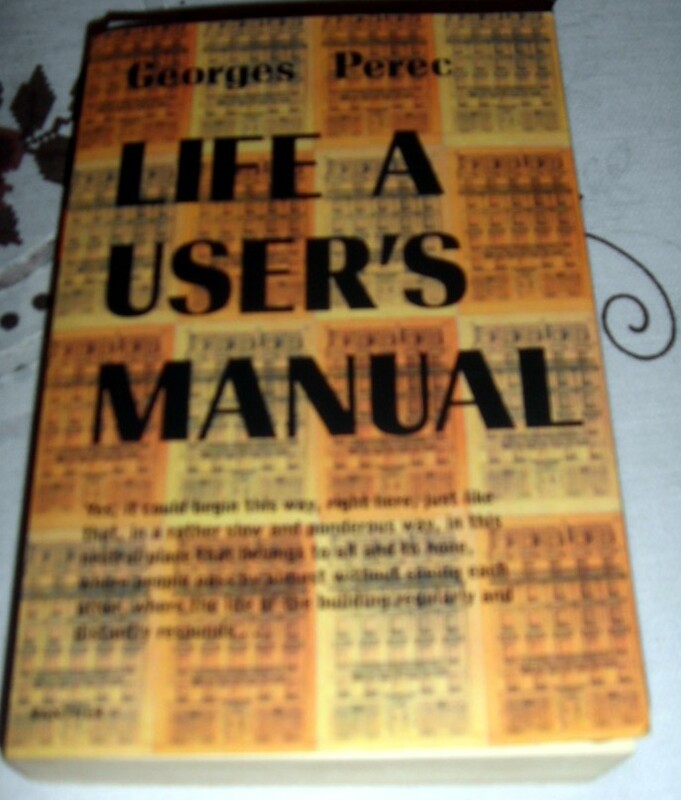 I picked up “Life: A User’s Manual” last year at the Oxfam and decided I needed something unusual and substantial recently – so far it fits the bill admirably! Top is the Perec I’m currently reading. Then we have today’s acquisitions, followed by MacLaren-Ross’s “Of Love and Hunger”, “The Leopard”, Compton Mackenzie’s “Sinister Street”, Dostoevsky’s “The Idiot” (I’m thinking of a readalong with jackiemania), “Manon Lescaut” (RISI) and Chekhov’s “The Russian Master” (RISI). Phew!